Parkinson spent four years living and working in East Timor. Throughout this time, he documented the changing political and social climate in the country through the graffiti expressed on the country’s surfaces. His first book, Peace of Wall: Street Art from East Timor, showcases some of the images and stories from this documentation. Until Never Gallery May 8-29. 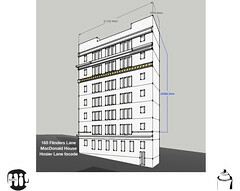 This month, artists Zito Soares da Silva, Alfeo Sanchez Pereira and Etson Arintes da Costa Caminha, from East Timor’s free art school, Arte Moris (Art is Life) will paint directly on the walls of Until Never, and will be developing collaborative projects in Melbourne that will establish links between visual artists in Melbourne and East Timor. 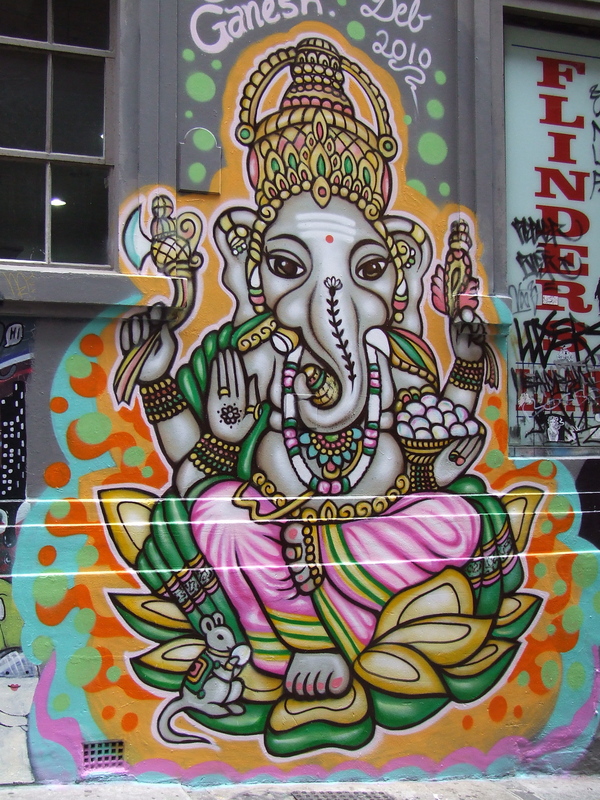 On Saturday 8th May Zito, Alfeo and Etson will be painting a collaborative wall in Melbourne’s Hosier Lane, before opening Chris Parkinson’s photographic exhibition for Peace of Wall at Until Never, from 6:00pm. The Living Room Primary Health Service is hosting a series of Art workshops open to all clients of the Living Room over a period of 3 months. 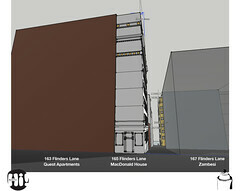 The final result of the project will be a mural of clients artwork on the Living Wall on Rutledge laneway. 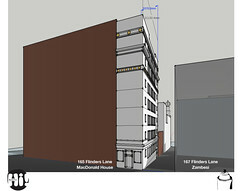 Stencil artists will be working with the clients to create their wall. These workshops will be running from 1.30-3.30 every Thursday. It is open to all so please spread the word. 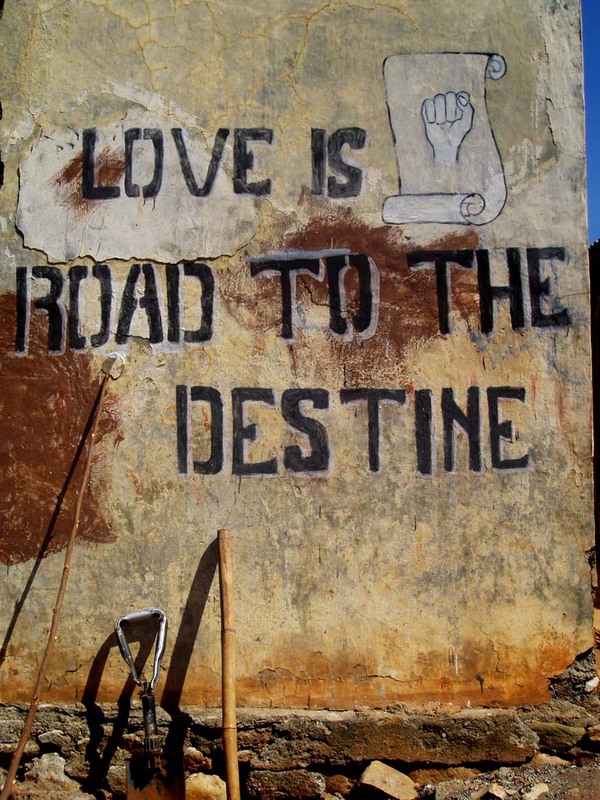 Wall of Peace – Street Art from East Timor. 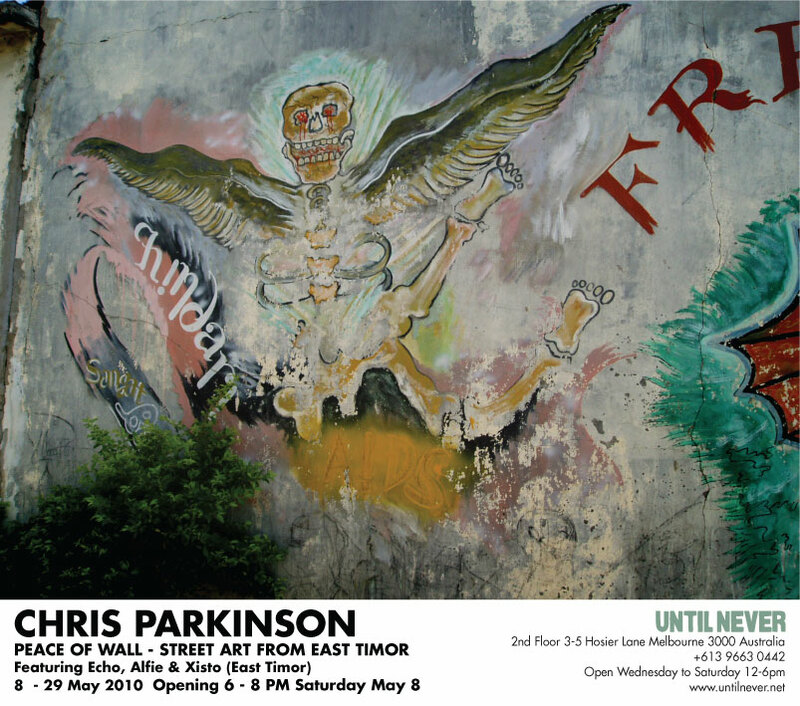 On Saturday 8th May, East Timorese artists Zito, Alfeo and Etson will be painting a collaborative wall in Melbourne’s Hosier Lane, before opening Chris Parkinson’s photographic exhibition for Peace of Wall at Until Never, from 6:00pm. Deb has recently added a beautiful piece of artwork to the wall of McDonald House. The work took Deb 6 days to complete, and by chance she was working while an Indian crew were filming in the laneways… sure to guarantee a very appreciative audience.